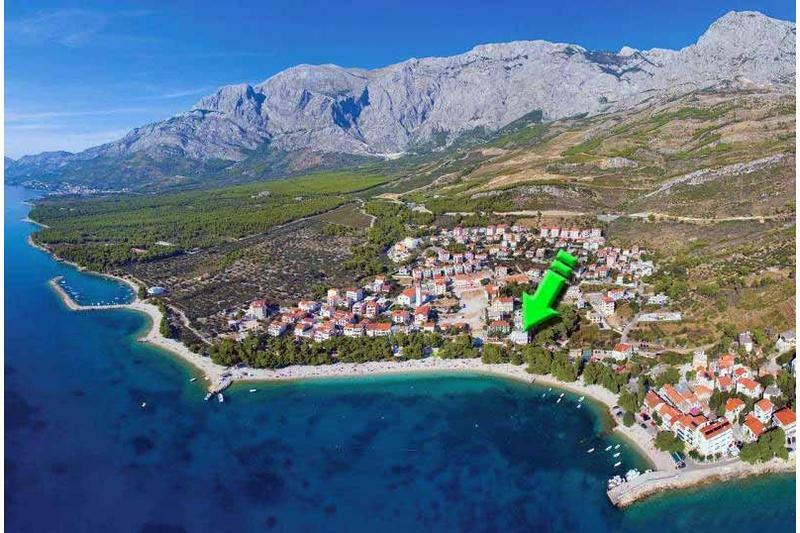 Apartment Karla A2 / for 2+1 persons / 30 m² / 1. floor / Apartments for rent is located on the beach in the center of Promajna, a small fishing village near Makarska, only 10 m from the sea, restaurants, shops, bars and entertainment. The apartment has a double bedroom and kitchen with dining room + bathroom / toilet. Guests can use the free private parking. 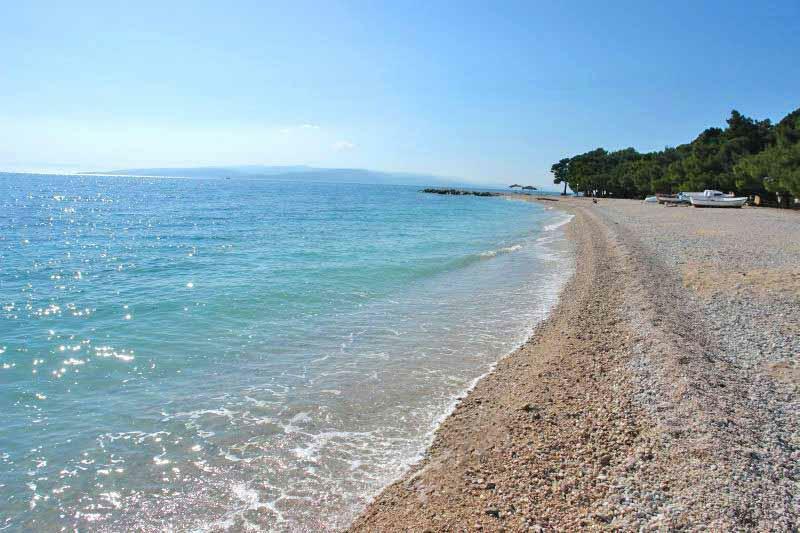 Apartment Karla is only 10 meters from the sea and beautiful sandy beach, which is due to the fine sand and the natural shade of pine trees ideal for small children and the elderly. 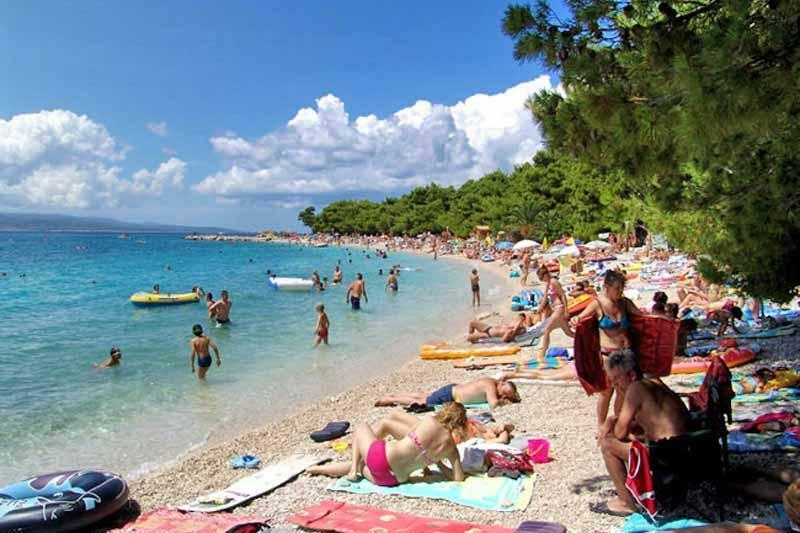 If you decide to spend your holiday in Croatia Promajna and we hope you will choose our apartments and we look forward to your arrival. 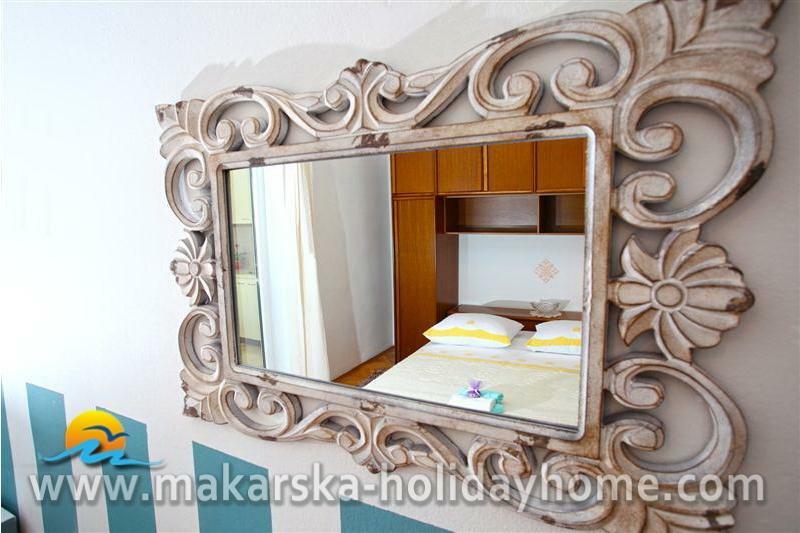 - BEDROOM : Double bed 200x180 cm + satellite TV + WiFi - Internet + air conditioning + wardrobe + bathroom with shower / WC. 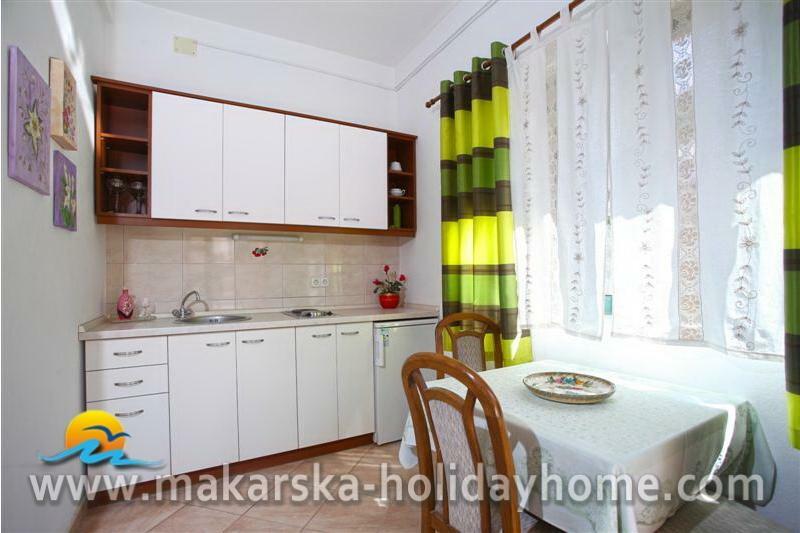 - KITCHEN: Stove (2 hotplates), refrigerator with freezer, kettle, Cleaners, Mikovalna oven, cooking utensils, cutlery and drinks. - BATHROOM: Shower / tub, toilet, Toiletries. Maximum 3 persons (adults and children) can stay at this property. Please select. Guest reviews are written by our customers after their stay at Apartment Karla.